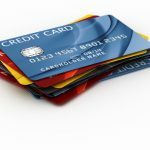 The purpose of this weekly Saturday series is to highlight the best credit cards in different categories so that you can find the card that has the features that are right for you. We’re making that easier this week by focusing on the top seven credit credit cards in the category (which is American Express credit cards and charge cards today). We’ll also provide you with a little bit of information about other great American Express credit cards and charge cards just in case the seven that were highlighted aren’t the right ones for you. If American Express cards aren’t ideal for you, then take a look at the previous posts in this series. 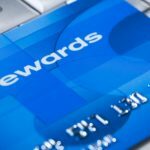 In past weeks, we’ve looked at the best cards from other credit card providers, including PenFed credit cards, Chase credit cards, Citibank credit cards, and Discover credit cards. We’ve also looked at various terrific offers including the top free rewards offers, the best cash back credit cards, the best general rewards credit cards, the best low interest credit cards, and the top 8 balance transfer cards. 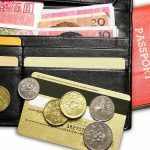 With the Gold Delta SkyMiles Credit Card from American Express you can earn 30, 000 bonus miles when you spend $1, 000 on your new Card in the first three months from account opening. This card offers a $0 introductory annual fee for the first year, then $95 annually. Check your first bag free on every Delta flight – that’s a savings of up to $200 per round trip for a family of four. Earn two miles on Delta purchases and one mile for all other eligible dollars spent. If you are a loyal Delta Air Lines frequent flier with excellent credit who wants to earn miles for travel and receive benefits such as a priority boarding consider the Gold Delta SkyMiles Credit Card from American Express. Terms and Restrictions Apply. The TrueEarnings Card from Costco and American Express is a great choice for people who shop at Costco since it is both a Costco membership card and an American Express credit card in one. This is a rewards credit card that gives you cash back using American Express’s 3-2-2-1 formula. This means you can earn 3% cash back on gasoline at US gas stations and on gasoline at Costco up to $4, 000 per year in purchases, then 1%; and 2% cash back on eligible purchases at US restaurants; 2% cash back for eligible travel purchases, including at Costco; and 1% cash back on other purchases including at Costco. Terms and limitations apply. You will receive your cash back annually in the form of a reward coupon. The TrueEarnings Card from Costco and American Express has no annual fee if you are a Costco member. Terms and Restrictions Apply. Note: Terms & Restrictions Apply to all above listed offers. 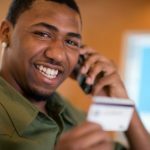 Offers change frequently; please be sure to check the card issuer website to ensure that all details and information are correct.